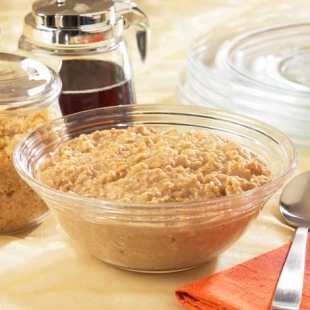 Maple n'Brown Sugar Healthy Oatmeal Discounts Apply ! Wonderful healthy way to start off your day. Our oatmeal has almost the identical taste and texture of regular flavored oatmeal, but has 15 grams of protein and 90 Calories. Cooks like regular instant oatmeal but a whole lot less lumpy. Great by itself or you can add it to plain oatmeal or regular maple and brown sugar flavored oatmeal.